Sonequa Murray has a lot of family support when it comes to running her business. But make no mistake, Murray’s creative culinary skills are the secret ingredient behind her “sweet” success. Her craft? 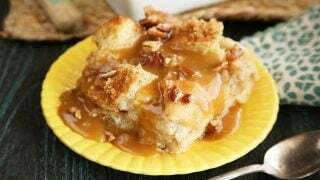 Making moist, flavorful confections for Simply Sonequa Pound Cakes. But poundcake was just the start. A number of sweet treats have since debuted out of her home bakery. She says the ideas just literally pop into her head. From the idea, she goes on to make the dessert, then her family samples and gives a thumbs up or down. After that process, favored ideas go to market. And while some recipes have bombed, many more have passed the taste test with flying colors. In baker’s terms, she gets a request to make that item again. 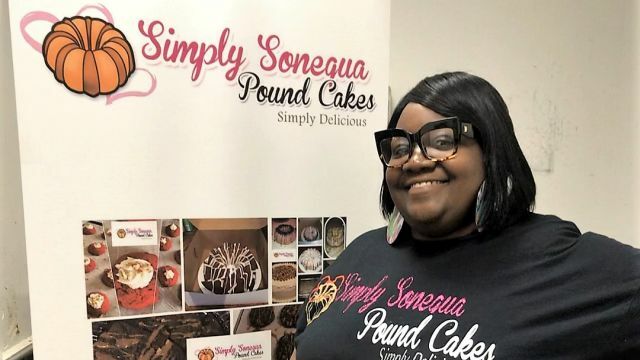 Simply Sonequa Pound Cakes packs sweet suprises from Alabama NewsCenter on Vimeo. 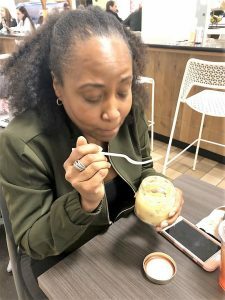 The next time you’re in the Pizitz Food Hall, stop by for a serving of Southern hospitality from her team, a slice of pound cake or red velvet cake, a scoop of banana pudding or banana cake in a jar, or German chocolate cookies. You can try before you buy as samples of cakes, cookies and puddings greet customers at the counter. Murray’s family was there to pitch in to help serve customers on the crowded second Saturday in February. Thanks to extra traffic from participants in the Mercedes-Benz marathon, business was overflowing. Her cousin and husband volunteered to help. But how did the business of baking and creating desserts begin for Sonequa Murray? 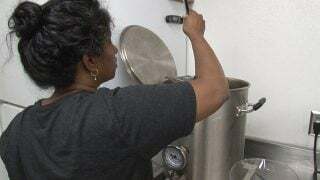 “We were supposed to be here for a short time, but we have now been in Pizitz Food Hall in downtown Birmingham each weekend for 3 months,” she said. Frequently selling out of baked goods before the day’s end, Murray takes that as a positive sign. And don’t expect anything to be simple about Simply Sonequa Pound Cakes. Murray operates “out of the box” for her cake recipes and that, she said, has made all the difference for her business. Murray said she’ll keep doing that as long as customers keep buying, although her schedule is challenging at times. She is now employed full-time and finds time to bake and sell her cakes and specialty desserts, as well. It’s no job for the faint of heart. But Murray combines her faith with grit and creative cake concepts. And the overwhelming push from her customers helps motivate Murray to continue creating and baking. It’s what some would call a recipe for sweet success. Visit the Pizitz Food Hall on Saturday’s or Sunday’s or call 205-401-4881.